Acclaimed rider, coach, and clinician Bernie Traurig presents a progressive system designed for horses in all jumping disciplines. 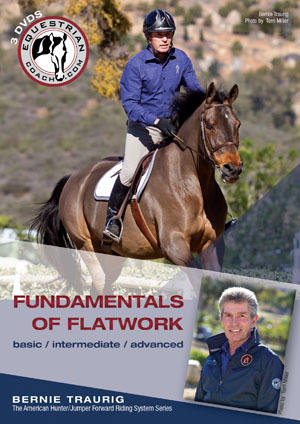 In these three DVDs (Basic, Intermediate, and Advanced), Bernie presents a simple method of flatwork that actively incorporates work over fences. The methods presented are easily understood by the average rider and yet sophisticated enough to challenge the more advanced rider, while imparting the keys to performance and rideability. These DVDs are part of the American Hunter/Jumper Forward Riding System Series, which is also available as a complete set.